Acute Lymphoblastic Leukemia (ALL) is the most common type of childhood leukemia and the most frequent malignancy in children, representing one third of all pediatric cancers. Leukemia is a multistep process: it starts from a first pre-natal genetic event (frequently a chromosomal translocation) in a precursor cell, and the accumulation of cooperative genetic events lead to the full transformation and clinical onset. Different genetic events are responsible of a large biological heterogeneity and are associated to different patients’ outcome. The understanding of the altered cellular pathways is the key to develop new drugs specifically directed to leukemic cells, to be associated with the ongoing standard multi-chemotherapy with the aim to increase efficacy and reduce long term toxic side effects. The major known targets are genes encoding for transcription factors critical for stem cell development and hematopoietic lineage definition (i.e. MLL, TEL/ETV6, Ikaros, PAX5/BSAP) or tyrosine kinases (i.e. ABL, PDGFR). i) Identification of new easily measurable GVHD biomarkers. This line of research will focus on the study of the acute phase protein, long pentraxin 3 (PTX3), which is locally produced at sites of inflammation. We recently observed increased PTX3 levels in the plasma of HSCT patients before the occurrence and at the onset of GVHD. If these data will be confirmed, PTX3 would represent a crucial marker to predict GVHD onset and to follow patient response to therapy. ii) Development of innovative highly specific anti-GVHD treatments. A better understanding of GVHD pathogenesis can lead to the development of innovative therapeutic strategies. In particular, the identification of the molecular mechanisms involved in controlling the expression of chemokines and their receptors in GVHD may provide efficient strategies to improve disease management. Cazzaniga, G., De Lorenzo, P., Alten, J., Röttgers, S., Hancock, J., Saha, V., et al. (2018). Predictive value of minimal residual disease in philadelphia-chromosome-positive acute lymphoblastic leukemia treated with imatinib in the European intergroup study of post-induction treatment of Philadelphia-chromosome-positive acute lymphoblastic leukemia, based on immunoglobulin/T-cell receptor and BCR/ABL1 methodologies. Schrappe, M., Bleckmann, K., Zimmermann, M., Biondi, A., Möricke, A., Locatelli, F., et al. (2018). Stanulla, M., Dagdan, E., Zaliova, M., Möricke, A., Palmi, C., Cazzaniga, G., et al. (2018). IKZF1plusDefines a New Minimal Residual Disease-Dependent Very-Poor Prognostic Profile in Pediatric B-Cell Precursor Acute Lymphoblastic Leukemia. 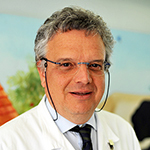 Manara, E., Basso, G., Zampini, M., Buldini, B., Tregnago, C., Rondelli, E.R., et al. (2017). Characterization of children with FLT3-ITD acute myeloid leukemia: A report from the AIEOP AML-2002 study group. Pievani, A., Sacchetti, B., Corsi, A., Rambaldi, B., Donsante, S., Scagliotti, V., et al. (2017). Human umbilical cord blood-borne fibroblasts contain marrow niche precursors that form a bone/marrow organoid in vivo.